The goal of the Bear Specialist Group is to promote the conservation of bears and the habitats that they require across their distribution world-wide. The Bear Specialist Group (BSG) is one of more than 140 Specialist Groups established by the Species Survival Commission (SSC), within the International Union for the Conservation of Nature (IUCN). The goal of the BSG is to promote the conservation of bears and their natural habitats across their distribution worldwide. The BSG and IBA are closely affiliated. Members of the Bear Specialist Group are appointed by the BSG co-chairs and are provided membership benefits of the IBA. Dave is a Wildlife Research Scientist with the Minnesota Department of Natural Resources (MDNR). Since 1983, as bear project leader for the MDNR, he has conducted population and ecological studies of American black bears across their geographic range in Minnesota, with direct application in management of the state’s bear population. 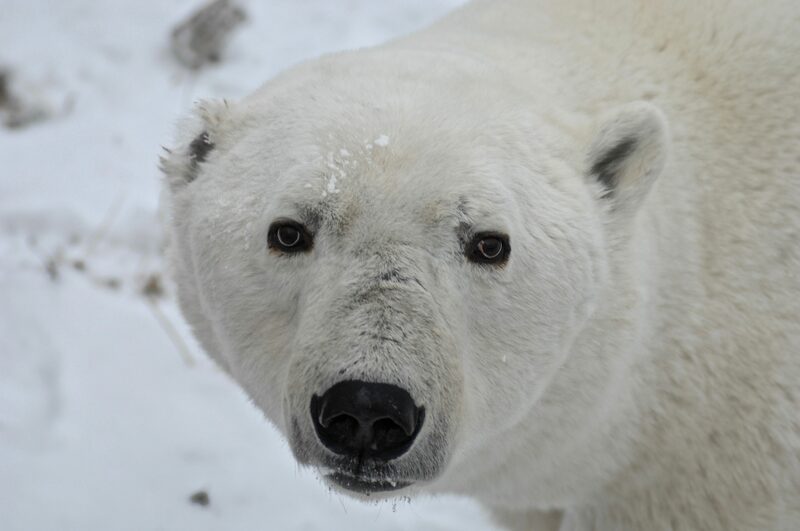 As an adjunct professor at the University of Minnesota, he has advised graduate students on studies of most of the other bear species of the world, aimed at improved conservation. Previously he studied black bears in the Great Smoky Mountains for his M.S. degree (University of Tennessee) and sea otters in Alaska for his PhD (University of Minnesota). His current interests are in monitoring trends of bear populations, discerning factors limiting population growth, and understanding ecological adaptations of bears, especially in human-modified environments or at the edge of their geographic range. Rob is head of the Conservation Biology Unit at World Wildlife Fund Thailand. He has conducted ecological research, training, and site-based conservation projects in Southeast Asia for 19 years. He studied the ecology of sympatric Asiatic black bears and sun bears for his Ph.D., and was heavily involved in the recent rangewide mapping and red-listing of these two species. Rob has designed and implemented monitoring surveys for a number of species in Southeast Asia. He has also investigated methods of assessing the extent and impacts of forest loss and poaching, the key factors affecting bear populations worldwide. Bruce is Wildlife Research Ecologist for the British Columbia Ministry of Forests. For over 30 years, his work has focused on integrating the ecological requirements of grizzly bears and endangered mountain caribou with human developments. In doing so, he has conducted ecological studies of grizzly bears in several parts of the province and mountain caribou across most of their distribution. Bruce’s work has led him directly into the middle of the complex interface between people using the land and the conservation of two challenging species. Due to his knowledge of bears and caribou (plus the plants and animals that affect them), he has been involved with several, multi-stakeholder landuse planning processes that covered large portions of the Province. Bruce was previously president of the International Association for Bear Research and Management and through this role became linked to many bear conservation issues world-wide. His interests remain the same – how to maintain challenging species in spite of expanding human demands on the land. Djuro graduated in veterinary medicine in Zagreb, Croatia in 1975, then specialized in ecology (master’s degree) and wildlife parasitology (PhD, 1979). In 1979-80 he was on a Fulbright grant at the Wild Animal Disease Center in Fort Collins, Colorado, USA. Since 1981 he has been conducting a brown bear study in Croatia, which in 1996 expanded into a study of all large carnivores in Croatia (bear, wolf and lynx). Other projects he has led included: National Geographic Society, International Bear Association, Euronatur, Bernd Thies Foundation, U.S. – Croatian science technology program, ALIS, Alertis, LIFE Wolf, LIFE COEX, GEF KEC, INTEREG DinaRis. Methods employed in these projects included radio-telemetry and genetics. Professionally, Djuro is involved with: Croatian Ecological Society, Croatian Biological Society, IUCN SSC Bear Specialist Group and Wolf Specialist Group, IBA (past Council member and Vice-president), Large Carnivore Initiative for Europe, Wildlife Disease Association. He is currently professor of Biology in the Department of Biology at the Veterinary Faculty in Zagreb, where he teaches Zoology and Ecology. Jon is originally from Montana, USA, where he received his university education and worked as a wildlife management biologist for the Montana Department of Fish, Wildlife and Parks for 10 years. In this job, he worked on management issues concerning both American black and grizzly bears. He has been the leader of the Scandinavian Brown Bear Research Project since 1991. In addition, he has contributed expertise to managers, researchers and governments on bear management and research in Austria, Bulgaria, France, Republic of Georgia, Italy, Japan, Pakistan, Poland, Slovenia, Spain, and Sri Lanka, and his students have worked on bear projects in Bolivia and Indonesia. The BSG has been important for the successful management and conservation of North American bear populations. He is strongly committed to science-based conservation and management of bears worldwide and has served organizations such as the International Association for Bear Research and Management as an active Council member and Vice-President for Eurasia. Stefan has worked for conservation in Central Asia, the Caucasus and adjacent countries since 1993. He is familiar with flora, fauna, ecosystems and institutional and legal frameworks in this region. His work focuses on the involvement of local people in the conservation of wildlife and its habitats. Stefan has participated in the update of the IUCN Red List assessment of brown bear. He is dedicated to strengthen the involvement in the work of the BSG of experts from the brown bear range states in the Caucasus and in Asia. Tsutomu Mano is a senior research biologist at the Hokkaido Institute of Environmental Sciences, Leader of the Brown Bear Research Project of the Hokkaido Government, and a council member of the Mammalogical Society of Japan. He completed his Ph.D., examining brown bear harvest data, at Hokkaido University in 1992. His research has been concerned with brown bear population monitoring issues in Hokkaido through biological investigation of killed individuals, hunting statistics, and a density index. His current interests include traditional knowledge of coexistence with bears, and its application into actual bear management programs in Japan. 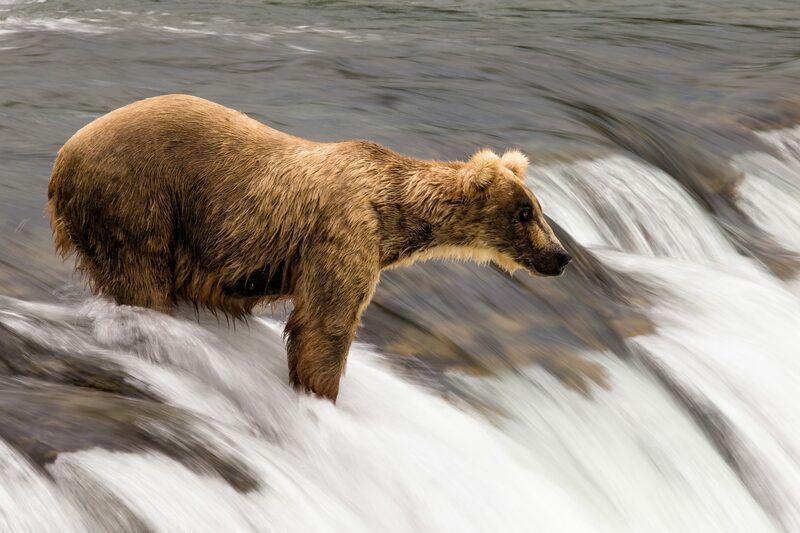 He is also actively involved in collecting information on brown bears in the north Pacific Rim through the Brown Bear Working Group of the Northern Forum. Mike is an independent Canadian bear research ecologist. He completed his PhD in grizzly bear ecology in 2003. He currently researches and implements conservation solutions for small threatened brown bear populations that span the Canada-US border from southern British Columbia. The Trans-border Grizzly Bear Project is an international cooperative effort that uses DNA survey methods and GPS telemetry to identify broad and fine scale population fragmentation, assess and monitor population status, identify core and linkage habitat, and understand habitat use and security through GIS-based habitat modeling of GPS telemetry and DNA survey data. His work also includes efforts to reduce bear-human conflicts. Mike is interested in translating sound scientific research on threatened bear populations into workable conservation solutions. He is currently an IBA council member. Beyond Canada, he has worked in international bear projects in Ecuador, Italy, and Mongolia. Dave is a Wildlife Research Scientist with the Minnesota Department of Natural Resources. He is currently involved in a long-term (30+ -year) study of American black bears in Minnesota. He has also advised graduate students on studies of Asiatic black bears in China, Taiwan, and Thailand. These projects have focused on understanding the ecological needs of bears and how these interface with people; monitoring populations from sign surveys and interviews with local people; and examining factors limiting bear populations, including poaching, habitat loss, habitat degradation, and natural ecological barriers. Originally from the UK, Matt has been living in Southeast Asia since 2001. He has been working with wild animals for over 25 years, initially in zoos and wildlife parks but for the past 15 years his work has been focused on combatting the illegal wildlife trade. As Chief Executive of Free the Bears, he is responsible for overseeing projects and partnerships in six countries throughout Asia, developing world-class bear sanctuaries, training local teams to provide optimal care and promoting environmental awareness in some of the world’s least developed countries. Matt believes that long-term conservation of wildlife in Southeast Asia will only be achieved through a combination of strengthened law enforcement and improved environmental awareness. To this end his work is increasingly focused on developing capacity for local researchers to fill gaps in our understanding of wild bears, support and training for government-led law enforcement teams, and fostering public support for conservation initiatives through innovative education programmes. Gabriella is a conservation biologist who has mainly been working in Indonesia for the last 15 years. Her doctoral research focused on the ecology and conservation of sun bears in Kalimantan (Indonesian Borneo). Since 1997 Gabriella has been involved with the management and establishment of protected areas in East Kalimantan, North Sumatra, and Aceh. Recently she has assisted with the development of an environmental education centre in East Kalimantan, with a focus on sun bear conservation. Besides forest conservation and sun bears, she is interested in wildlife survey and monitoring techniques, wildlife trade, human-wildlife conflict, biodiversity assessments and monitoring, training/capacity building of local conservation NGOs and students. Harendra works as Deputy Director of The Corbett Foundation. He has been associated with the conservation of sloth bears since 1998, being one of the first individuals to conduct an intensive study of this species in India. He completed a Doctorate at Saurashtra University, Gujarat, India, studying sloth bear ecology and human-bear conflicts. His past work has been associated with the Wildlife Institute of India as Research Fellow and Research Associate in the Wildlife Policy Research Cell. He also worked with World Wildlife Fund-India for several years. Harendra currently serves on the State Board of Wildlife, Uttarakhand State. While working with different organizations with diverse responsibilities, he has remained actively involved in sloth bear conservation. Besides continuing to do research, he is also conducts training programs aimed at capacity building, and works to involve communities in conservation. Nishith is currently positioned as an associate professor of Environmental Science in Gujarat, India. For the past 18 years he has been working mainly on large mammal ecology and biodiversity monitoring in Gujarat. He did his doctorate on the ecology and behavior of Asiatic lions. Since 2006 he has been doing research on sloth bears, investigating distribution, population monitoring, and human-bear conflicts in Gujarat mainly, now extended to other state and country including Maharashtra, Rajasthan and Bhutan. Nishith has developed a revised map of Sloth bear distribution in world for IUCN and also authored the Bear conservation action plan for Gujarat. In addition to sloth bear research, he has conducted studies focused on wetland monitoring and monitoring of small mammal populations in Gujarat and supervising work on pesticide contamination in wetlands. Nishith is working toward collaborative capacity building programmes for wildlife conservation at his university. He has coordinated the recent sloth bear population estimation in Gujarat state with Gujarat forest department. Nishith aspires to elevate and direct the young researchers towards the conservation of wildlife and habitat. Ron serves San Diego Zoo Global as the Brown Endowed Director of Applied Animal Ecology and is the General Scientific Director of Cocha Cashu Biological Station in Manu National Park in the Peruvian Amazon. As head of the Zoo’s giant panda program, he supervises a number of research projects with giant pandas ranging from conservation breeding to population ecology. Since 1995 his research with pandas has emphasized the use of behavioral and ecological knowledge to solve conservation problems through collaboration with a variety of other research teams predominantly in China. As director of a large team of conservation biologists based at the Zoo, he also works on a number of other species and conservation problems, with a focus on conservation breeding, translocation biology, and population monitoring and adaptive management. He holds a Bachelor’s degree in zoology from the University of North Carolina at Chapel Hill and a Ph.D. in Animal Behavior from the University of California at Davis. His current research interests with pandas address reintroduction biology, limiting ecological resources, emerging anthropogenic threats, and behavioral ecology. Dajun is a wildlife biologist with School of Life Sciences, Peking University, based in Beijing, China. His research is focusing on the wildlife ecology in western China, mainly about population and habitat management of endangered species being impacted by humans. He started his wildlife research career studying wild giant pandas in 1993, and obtained his Ph.D in 2003 on wild giant panda movement, activities and homerange. He has since expanded the research field from observation of individuals to broader-scale investigation of habitat fragmentation, and then to the biodiversity in the mountains of western China. He works with students of his research group in Peking University on multi-species systems, including snow leopard and Przewalski’s gazelle. 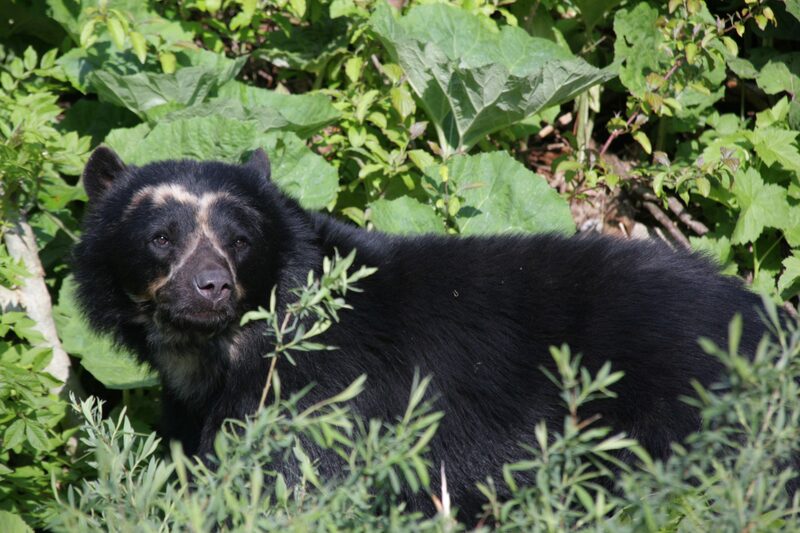 He has also worked on three other bear species: Asiatic black bear, brown bear and sun bear. Ximena is a conservation fellow at Chester Zoo UK, and research associate at WildCRU, University of Oxford. 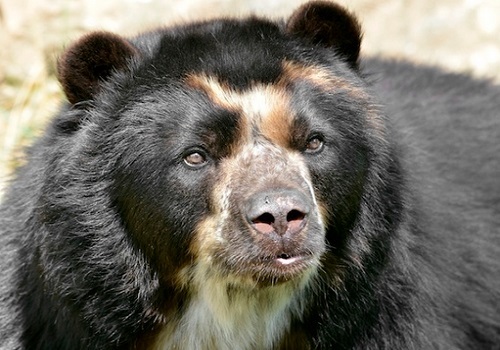 Based in Bolivia, Xime has been actively involved in the study of the ecology and conservation of Andean bears in her country. She obtained an M.S. in Geographic Information Systems at the University of Leicester, UK, and later joined the Evolutionary and Ecology group at the University of Antwerp, Belgium, where she obtained her Ph.D. Currently, she is principal researcher in a joint project of Chester Zoo and WildCRU which aims to assess human-bear conflict occurring in the Inter-Andean dry forests of Tarija, Bolivia, and to estimate bear’s population size. Russ serves San Diego Zoo Global as a scientist in Applied Animal Ecology, conducting research for the conservation of Andean bears, primarily in Peru. He tries to integrate ecological and behavioral theory into conservation research and practice. He’s interested in habitat use, dispersal, gene flow, and mating systems, and how these processes are influenced by animal kinship and experience. Russ studied prairie raptors for his M.S. at Montana State University, spotted hyenas for his Ph.D. at Michigan State University, and savannah baboons during a postdoctoral appointment at Duke University. He has advised and mentored students working on Andean bears, American black bears, and bighorn sheep, and is an adjunct professor at San Diego State University. He strives to build capacity and engage local participants to achieve long-term impacts on research and conservation. Lana has conducted research on black and grizzly bears in a number of provinces/territories throughout Canada since 1993. Her doctoral research examined the effects of timber harvesting on the demography and habitat selection of grizzly bears. Her research interests focus on the interaction of humans and bears, particularly as they relate to resource extraction industries and urban expansion. Her report, Reducing human-bear conflicts: solutions through better management of non-natural foods (Ciarniello 1997) pioneered the BC Bear Smart program. Lana believes in science-based management of bears. 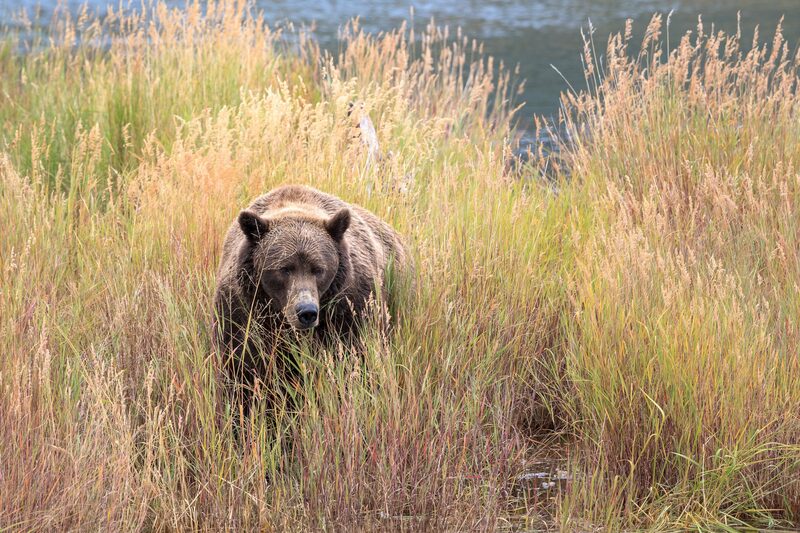 She uses temporal and spatial modeling to seek to explain urban encroachment into bear habitat, natural food shortages, and human-bear conflicts in relation to grizzly and black bear biological requirements and use of urban landscapes by wild bears. Lana is the sole proprietor of Aklak Wildlife Consulting based in Campbell River, BC. Patti has specialized in prevention of human-bear conflicts since 1999, but her passion for conflict prevention really solidified after she worked managing grizzly bears in Northwestern Montana. In 2003, she founded the Living with Wildlife Foundation which focuses on proactive solutions to human-bear conflicts. Patti produces the Living with Predators Resource Guides which are available for download at no charge and are utilized worldwide. She also developed a comprehensive protocol for testing bear-resistant products and until 2012, coordinated the Interagency Grizzly Bear Committee’s Bear-Resistant Products Testing Program. Patti has worked for Montana Fish, Wildlife & Parks managing the state’s wildlife rehabilitation center where she specialized in the care and release of orphaned bear cubs. She has organized several regional human-bear conflict workshops for bear management specialists in Montana, Wyoming, Colorado, and Canada and was instrumental in organizing two international conflict workshops. Patti also serves on the fundraising committee for the International Association for Bear Research and Management (IBA). Lydia is curator for ursids and felids at Cologne zoo and supervises projects on applied ethology and behavioural ecology. The research projects focus on the effects of environmental and social factors on resource use and activity patterns of captive herbivores and carnivores. The projects aim to assess the quality of the keeping conditions, to reveal problems which might indicate an overcharge of the adaptation potential, and test solutions to overcome these problems. Results on bears were implemented into the husbandry guidelines for ursids which were published during her tenure as co-chair of the Bear Taxon Advisory Group (TAG) of the European Zoo and Aquarium Association. The standards set by the guidelines served as a basis for regional collection planning for ursids and assessment of carrying capacity. Within the frame of the European Bear TAG she is also involved in ex situ conservation programmes for ursids by co-ordinating the European Endangered Species Breeding Program (EEP) of the spectacled bear and keeps the studbook for sun bears in Europe. Lydia finished her diploma in 1977 and obtained her doctoral degree in 1984 from the Albertus-Magnus University in Cologne, where she gives lectures and courses on zoo biology and applied ethology. Nicola (Nic) is the Bear & Vet Team Director, China based at Animals Asia’s bear rescue centre near Chengdu, Sichuan where she has worked for the past 10 years. Nic oversees the team and care for over 200 bears rescued from the bile farming industry. Her role also involves contribution to the wider operations of working for this welfare NGO including strategy planning, education and awareness. Nic’s work with bears spans 20 years, first as a zoo keeper with North American black bears in addition to Asiatic black bears, Eurasian brown bears and to a lesser extent sun bears. Nic has an MSc in Wildlife Biology & Conservation and she has worked on various international wildlife conservation projects. Nic’s work with bears has seen her participating and presenting at IBA conferences, Advancing Bear Care conferences & workshops and other captive animal management workshops during her career.